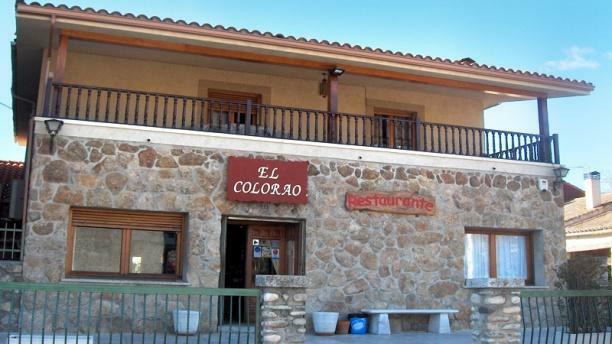 Restaurant "Colorao" is at the heart of the national park's Guadarrama. In Valle del Lozoya, in the picturesque village of Alameda del Valle, with 220 inhabitants. The restaurant is air-conditioned, has wood burning stove, and it is outside, overlooking the peak Peñalara, and the famous lagoon Peñalara. The kitchen is home, primarily with products from the area, prepared with care by our team of cooks. Our luxury is the quality, and therefore not only invite them to enjoy a good meal, followed by a nice stand, but also offer them strolling in the vicinity, for our trails, streams and rangelands. In advance, we welcome you to "Restaurant THE COLORAO" in ALAMEDA DEL VALLE. De 12:30 horas a 16:00 horas y de 19:45 horas a 23:30 horas. del 15 de Agosto al 15 de Septiembre. Miercoles cerrado.